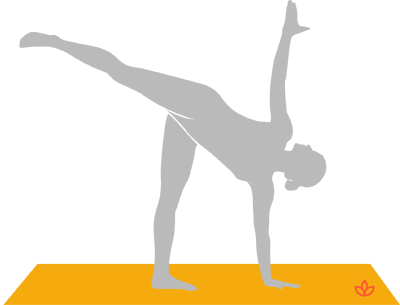 Definition - What does Half Moon Pose mean? Half moon pose is a standing pose that engages the core and expands coordination. This pose awakens the opposing sides of the body as it strengthens the legs, engages the lower back, opens the heart and calibrates hormones. Half moon pose is also known as ardha chandrasana. Half moon pose is a very beneficial pose; it builds balance, expands coordination and creates a keen sense of the body’s orientation in space.